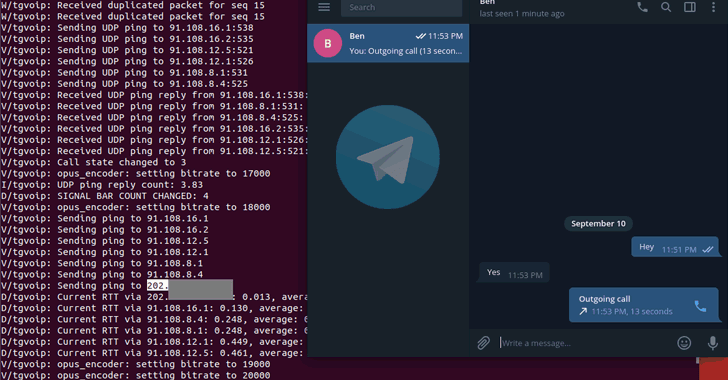 The desktop version of the security and privacy-focused, end-to-end encrypted messaging app, Telegram, has been found leaking both users' private and public IP addresses by default during voice calls. Security researcher Dhiraj Mishra uncovered a vulnerability (CVE-2018-17780) in the official Desktop version of Telegram (tdesktop) for Windows, Mac, and Linux, and Telegram Messenger for Windows apps that was leaking users' IP addresses by default during voice calls due to its peer-to-peer (P2P) framework. 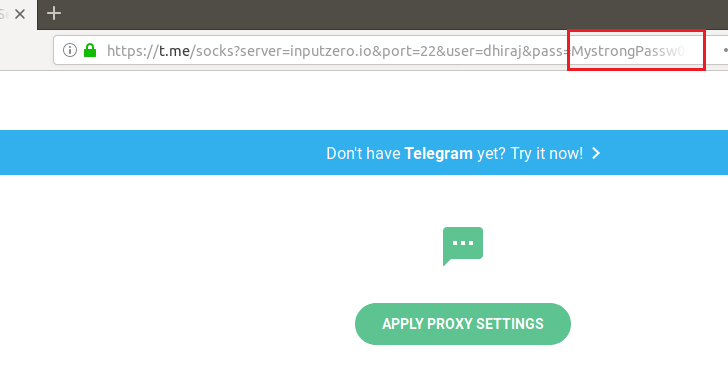 However, just like Telegram provides the 'Secret Chat' option for users who want their chats to be end-to-end encrypted, the company does offer an option called "Nobody," which users can enable to prevent their IP addresses from being exposed during voice calls. Enabling this feature will cause your Telegram voice calls to be routed through Telegram's servers, which will eventually decrease the audio quality of the call. Dhiraj reported his findings to the Telegram team, and the company patched the issue in both 1.3.17 beta and 1.4.0 versions of Telegram for Desktop by providing an option of setting your "P2P to Nobody/My Contacts." Leaking of IP addresses for an app that's meant to be secured is a real concern and does serve as a reminder that you can't blindly depend on even the most secure and privacy-focused services. "The link which gets generated have the password in plaintext, SOCKS5 is a transport protocol, and by itself, it is not encrypted. Requests transmit the credentials in plain text which is considered a bad security practice," Dhiraj said. "However, the URL which gets generated via telegram is in HTTPS but, URI producers should not provide a URI that contains a username or password that is intended to be secret. URIs are frequently displayed by browsers, stored in clear text bookmarks, and logged by user agent history and intermediary applications (proxies)."